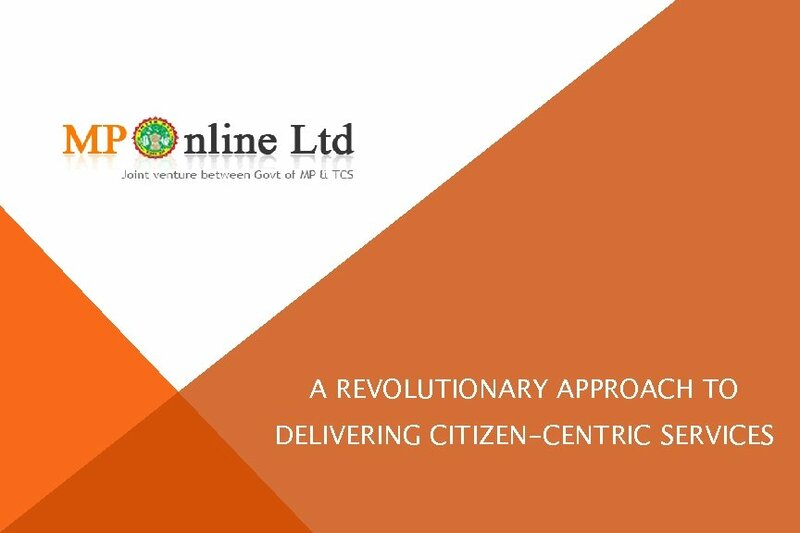 Revenue Model • • • The Project implemented on a PPP mode Adopting a Build Own-Operate (BOO) model No upfront financial burden on the State or the Department Application Development, Server Cost, Maintenance, Bandwidth incurred by MPOnline Recovered through a USER PAY MODEL. 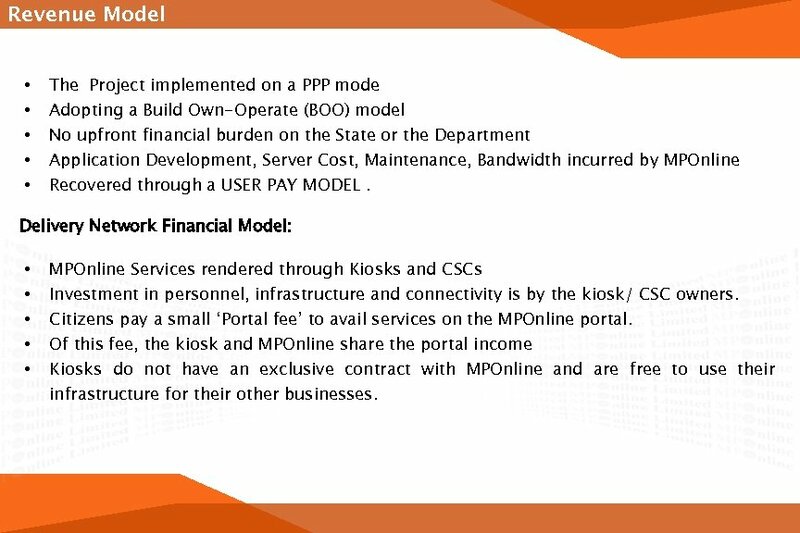 Delivery Network Financial Model: • • • MPOnline Services rendered through Kiosks and CSCs Investment in personnel, infrastructure and connectivity is by the kiosk/ CSC owners. 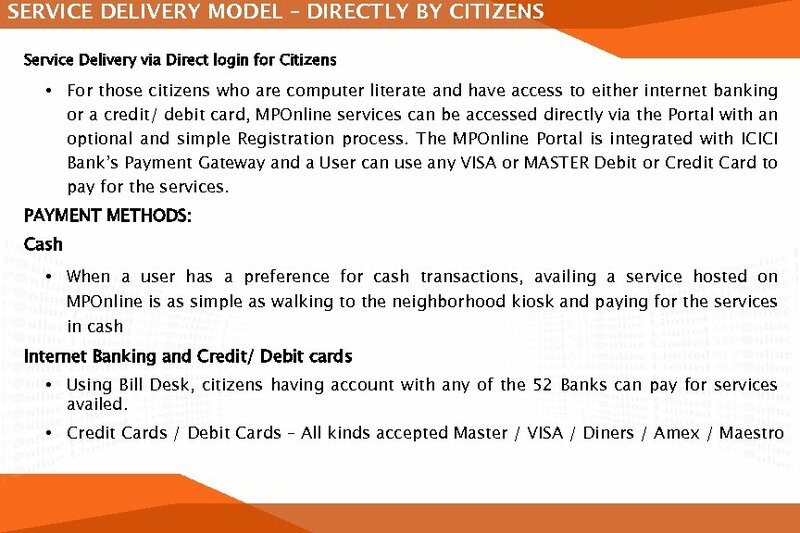 Citizens pay a small ‘Portal fee’ to avail services on the MPOnline portal. 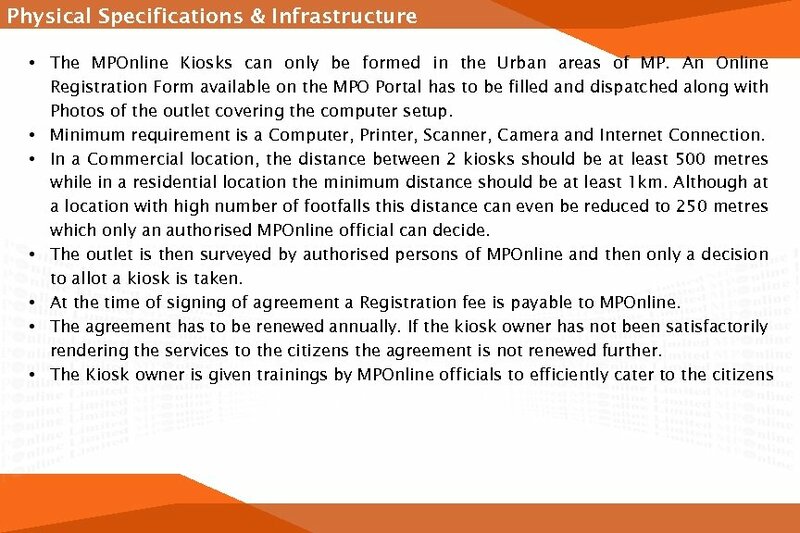 Of this fee, the kiosk and MPOnline share the portal income Kiosks do not have an exclusive contract with MPOnline and are free to use their infrastructure for their other businesses. 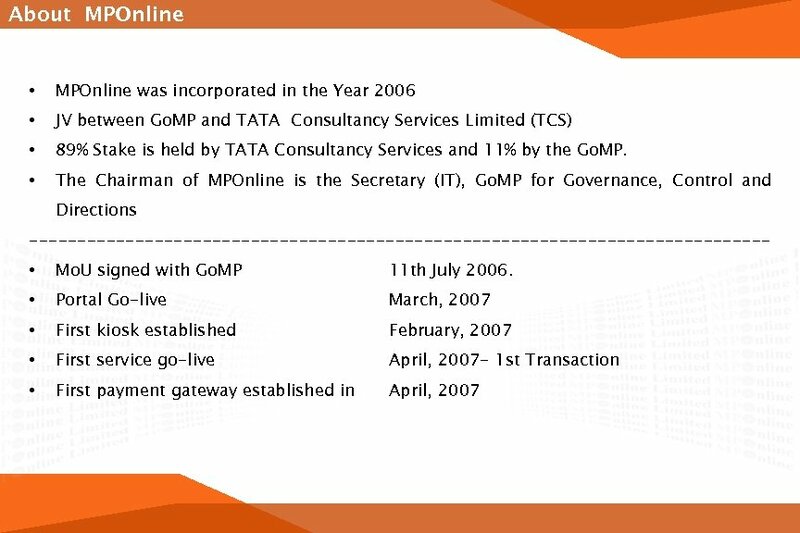 SERVICE DELIVERY MODEL MPOnline services can be availed by TWO convenient methods. 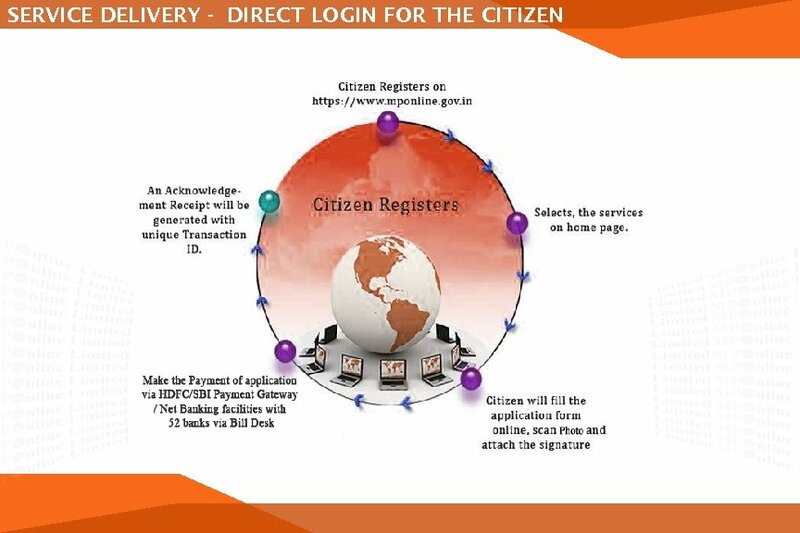 The citizen can select any one of the method suitable to them. 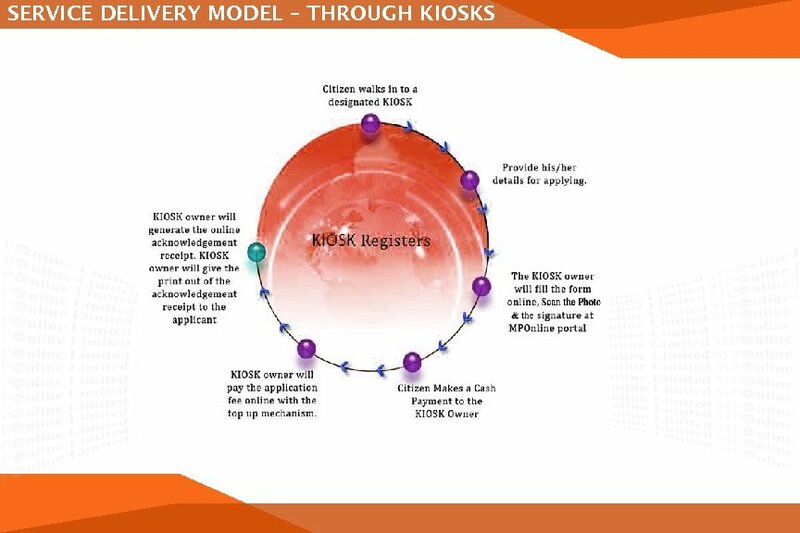 Service Delivery through Kiosks- • The kiosks connect to MPOnline portal via the internet and enable the rendering of the hosted services. 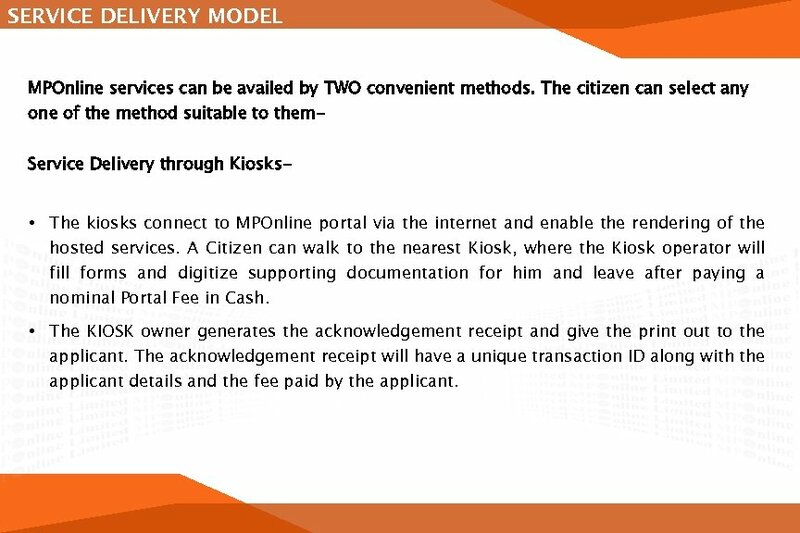 A Citizen can walk to the nearest Kiosk, where the Kiosk operator will forms and digitize supporting documentation for him and leave after paying a nominal Portal Fee in Cash. 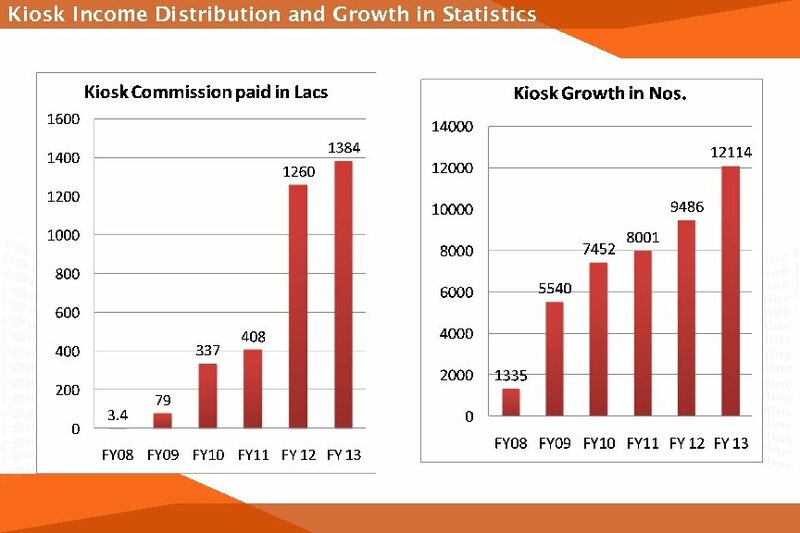 • The KIOSK owner generates the acknowledgement receipt and give the print out to the applicant. 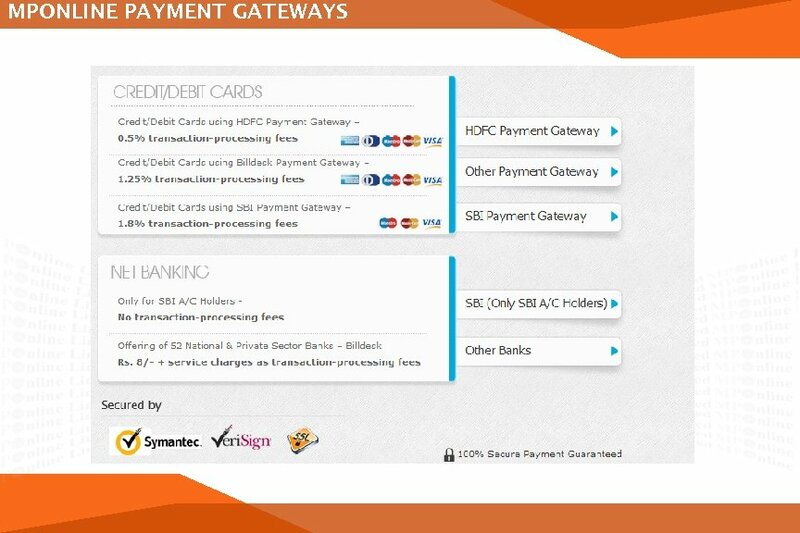 The acknowledgement receipt will have a unique transaction ID along with the applicant details and the fee paid by the applicant. 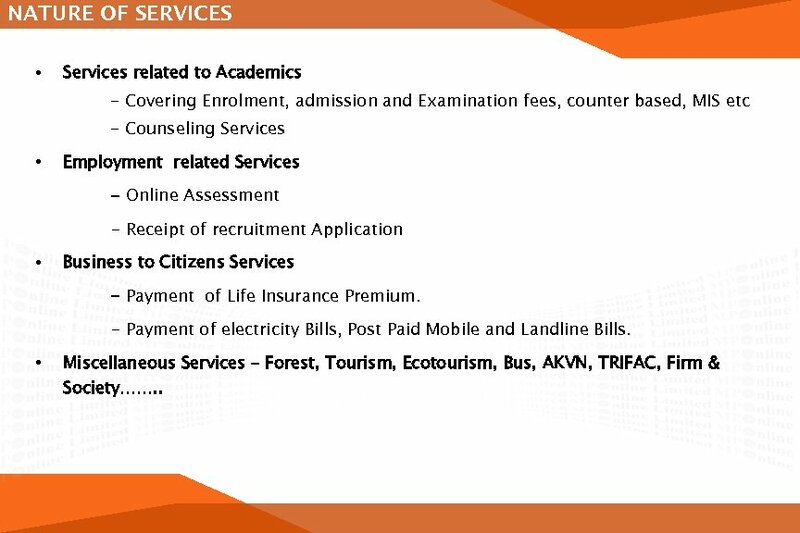 NATURE OF SERVICES • Services related to Academics - Covering Enrolment, admission and Examination fees, counter based, MIS etc - Counseling Services • Employment related Services - Online Assessment - Receipt of recruitment Application • Business to Citizens Services - Payment of Life Insurance Premium. 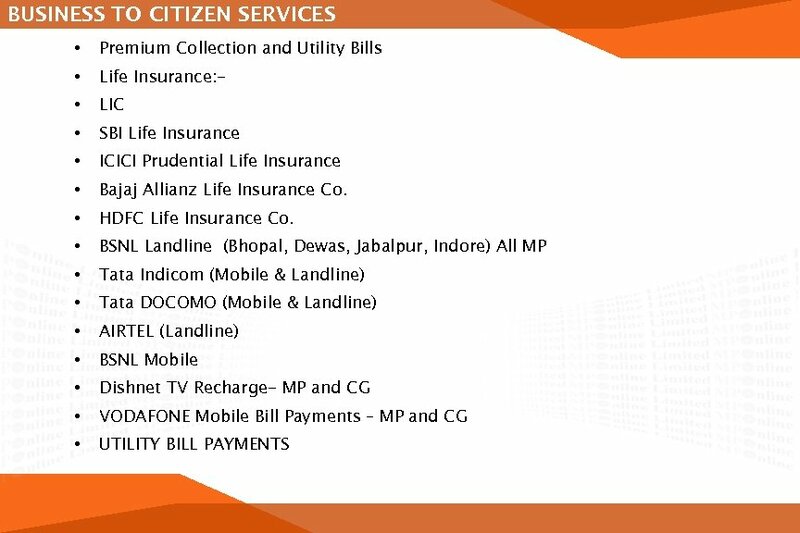 - Payment of electricity Bills, Post Paid Mobile and Landline Bills. 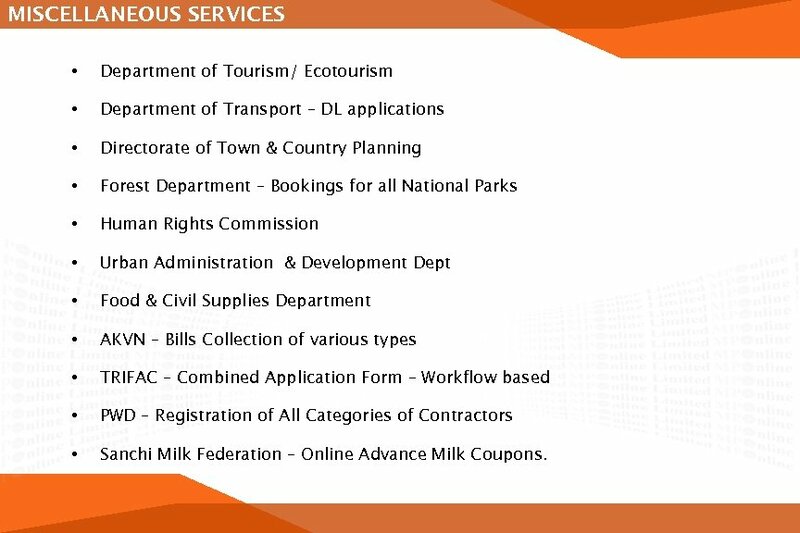 • Miscellaneous Services – Forest, Tourism, Ecotourism, Bus, AKVN, TRIFAC, Firm & Society……. .
MISCELLANEOUS SERVICES • Department of Tourism/ Ecotourism • Department of Transport – DL applications • Directorate of Town & Country Planning • Forest Department – Bookings for all National Parks • Human Rights Commission • Urban Administration & Development Dept • Food & Civil Supplies Department • AKVN – Bills Collection of various types • TRIFAC – Combined Application Form – Workflow based • PWD – Registration of All Categories of Contractors • Sanchi Milk Federation – Online Advance Milk Coupons. 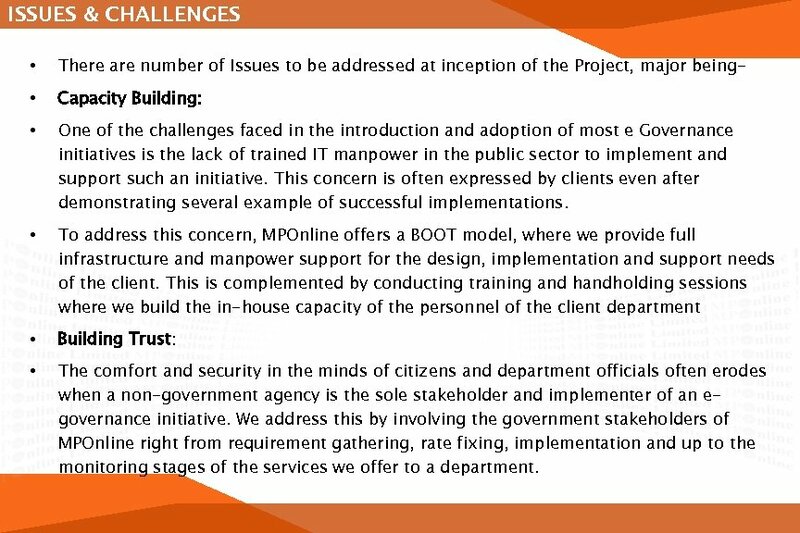 ISSUES & CHALLENGES • There are number of Issues to be addressed at inception of the Project, major being- • Capacity Building: • One of the challenges faced in the introduction and adoption of most e Governance initiatives is the lack of trained IT manpower in the public sector to implement and support such an initiative. This concern is often expressed by clients even after demonstrating several example of successful implementations. 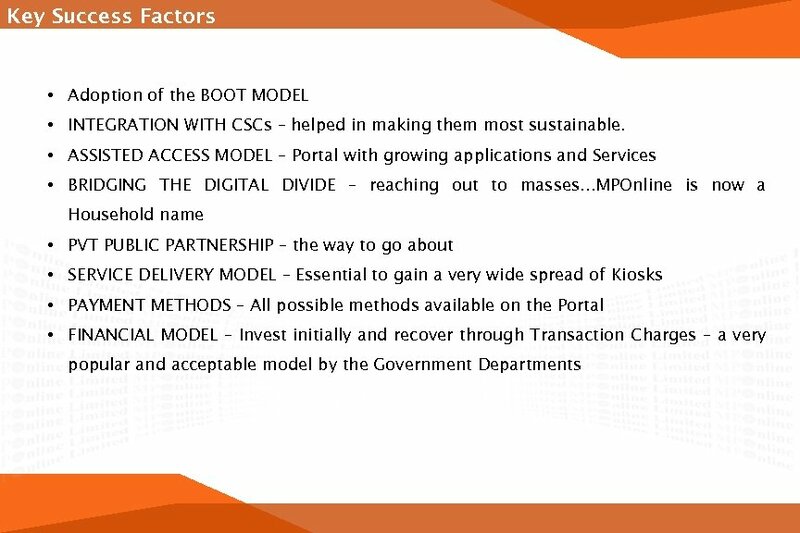 • To address this concern, MPOnline offers a BOOT model, where we provide full infrastructure and manpower support for the design, implementation and support needs of the client. 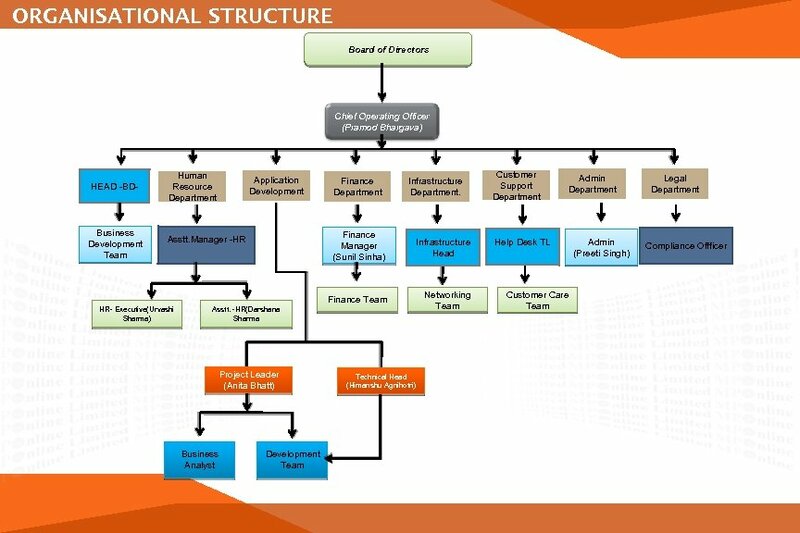 This is complemented by conducting training and handholding sessions where we build the in-house capacity of the personnel of the client department • Building Trust: • The comfort and security in the minds of citizens and department officials often erodes when a non-government agency is the sole stakeholder and implementer of an egovernance initiative. 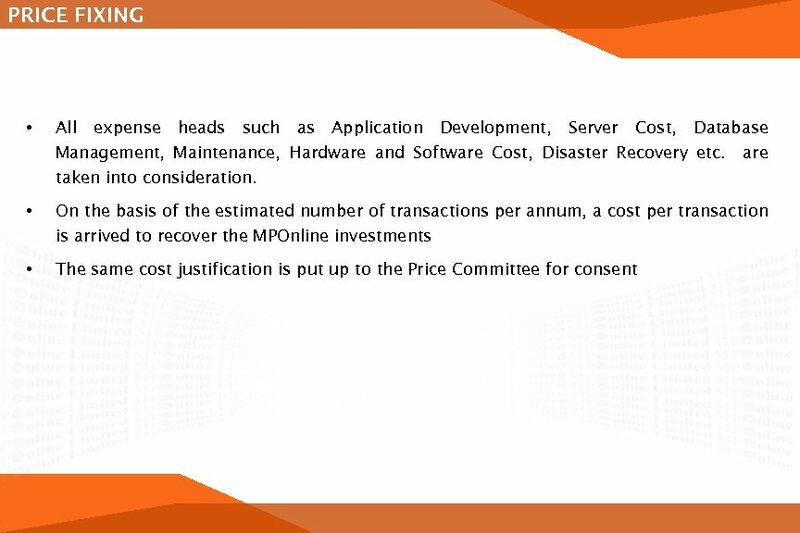 We address this by involving the government stakeholders of MPOnline right from requirement gathering, rate fixing, implementation and up to the monitoring stages of the services we offer to a department. 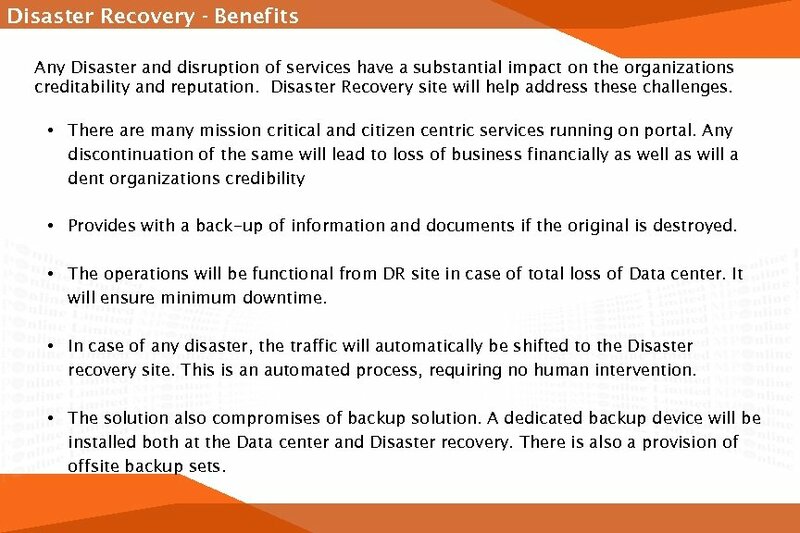 Disaster Recovery - Benefits Any Disaster and disruption of services have a substantial impact on the organizations creditability and reputation. 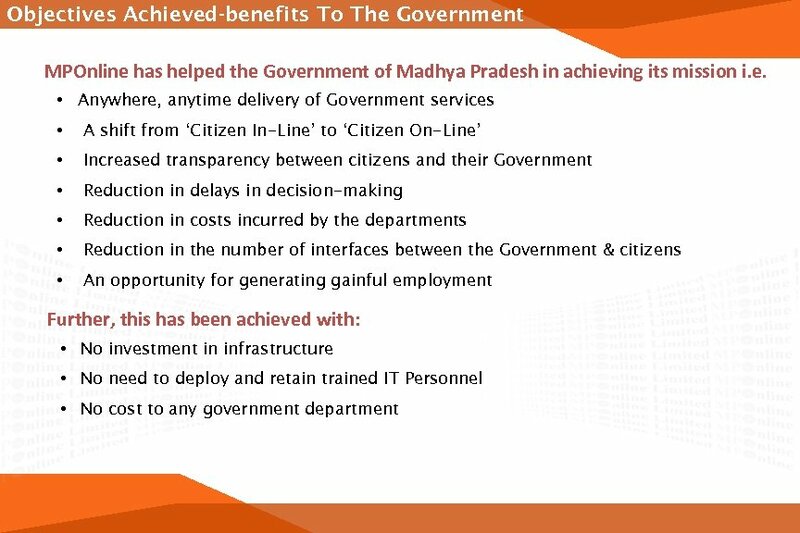 Disaster Recovery site will help address these challenges. 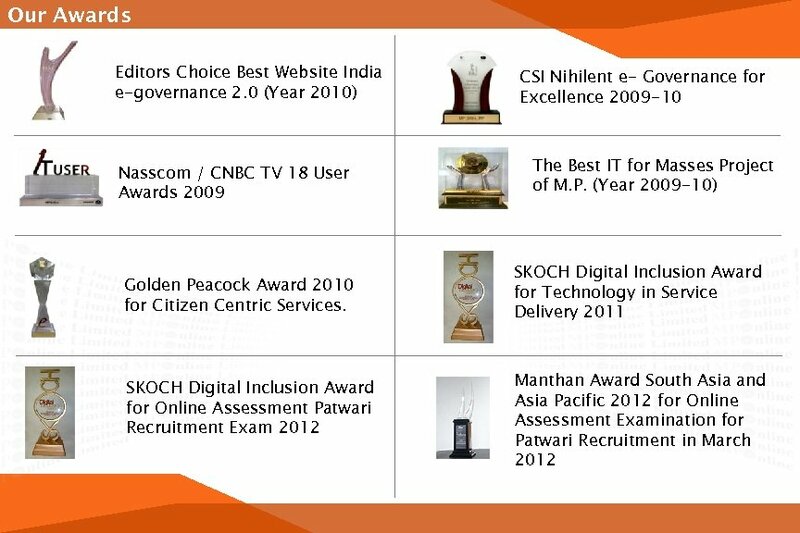 • There are many mission critical and citizen centric services running on portal. 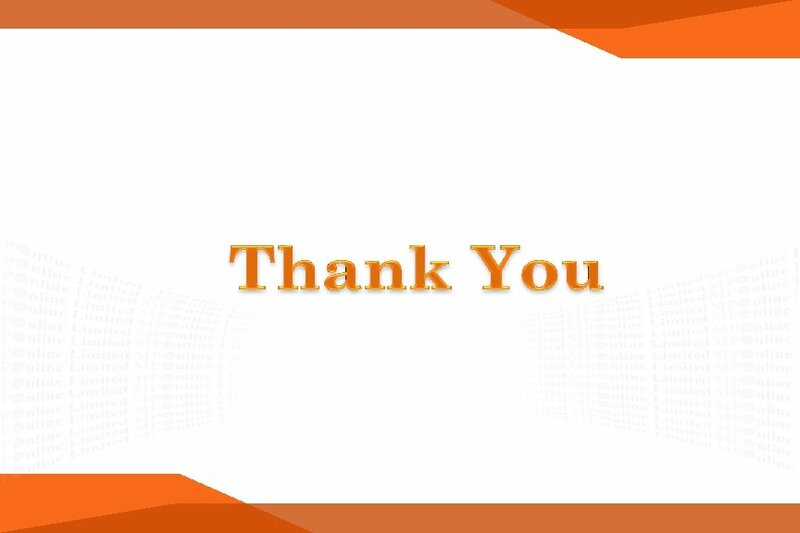 Any discontinuation of the same will lead to loss of business financially as well as will a dent organizations credibility • Provides with a back-up of information and documents if the original is destroyed. • The operations will be functional from DR site in case of total loss of Data center. It will ensure minimum downtime. 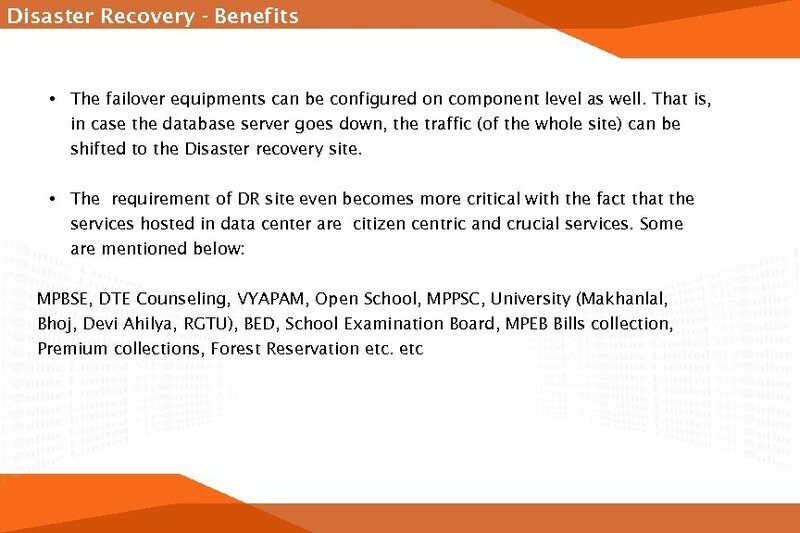 • In case of any disaster, the traffic will automatically be shifted to the Disaster recovery site. This is an automated process, requiring no human intervention. 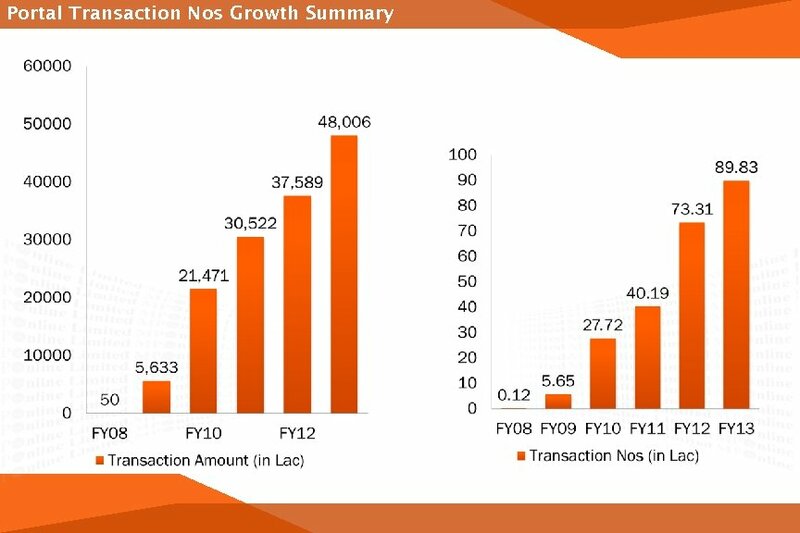 • The solution also compromises of backup solution. 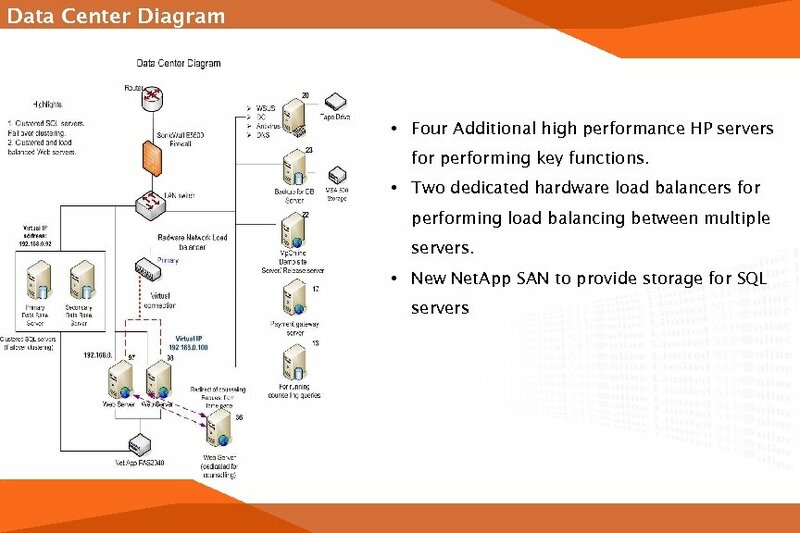 A dedicated backup device will be installed both at the Data center and Disaster recovery. There is also a provision of offsite backup sets. 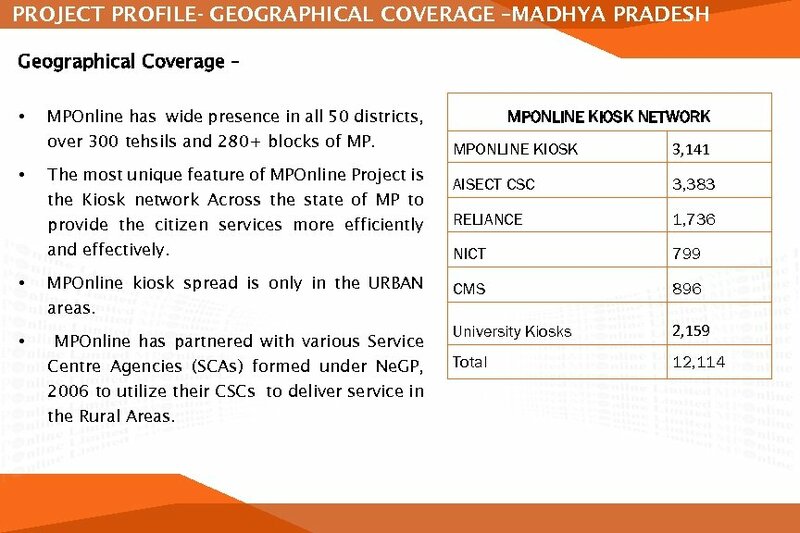 MPOnline Vision For Next Five Years……. 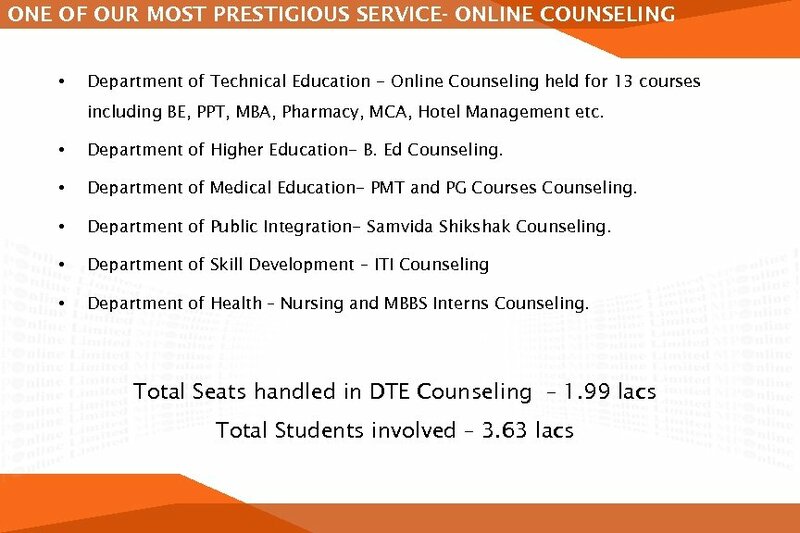 • To make all the Universities 100% Online through the MPOnline Portal. 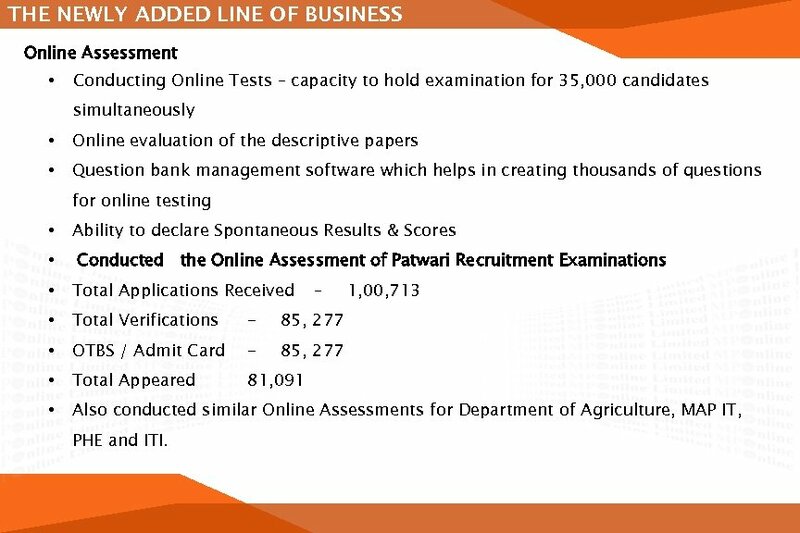 • To promote Online Assessment method of examination for University exams - a much more transparent and convenient mode. 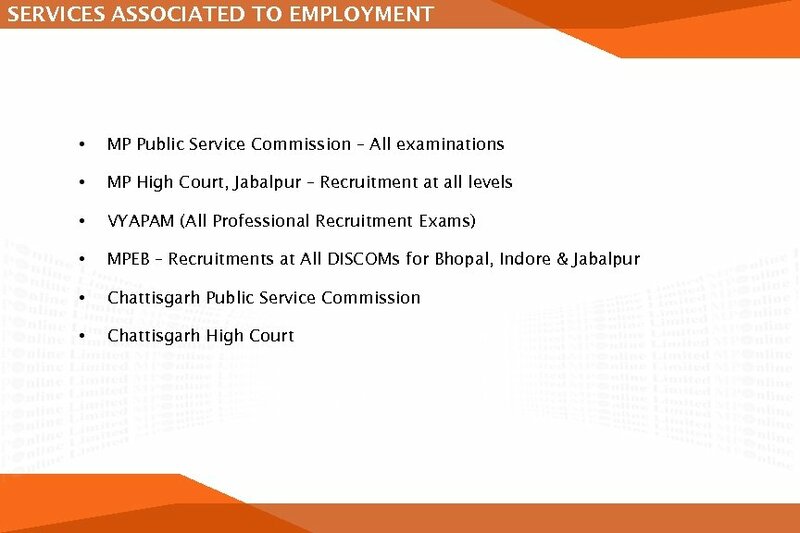 • To promote Online mode of working in all departments thus being environment friendly. 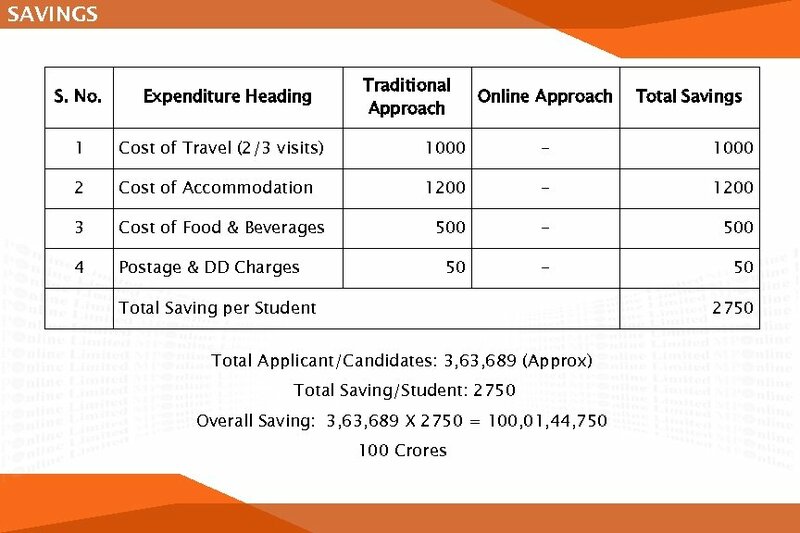 • Ensure Huge savings in Efforts, Time, Money, Logistics for all the departments. 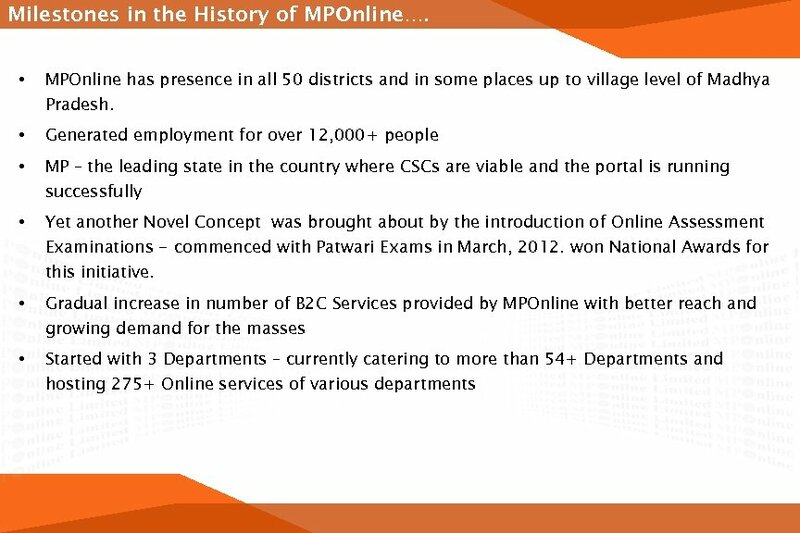 • Replication of MPOnline Services model in all states. 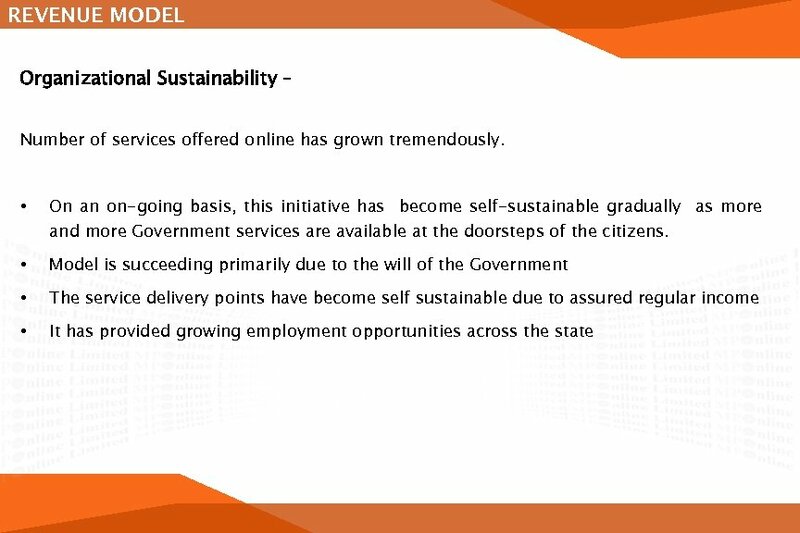 • Drive Green Initiative – Perhaps apply for Carbon Credits • To make the young citizens of India IT savvy. 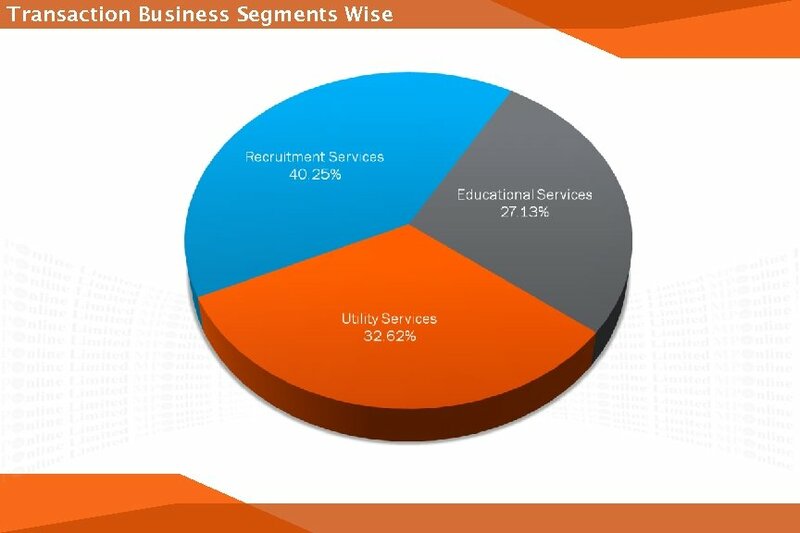 • Generation of employment up to the village level. 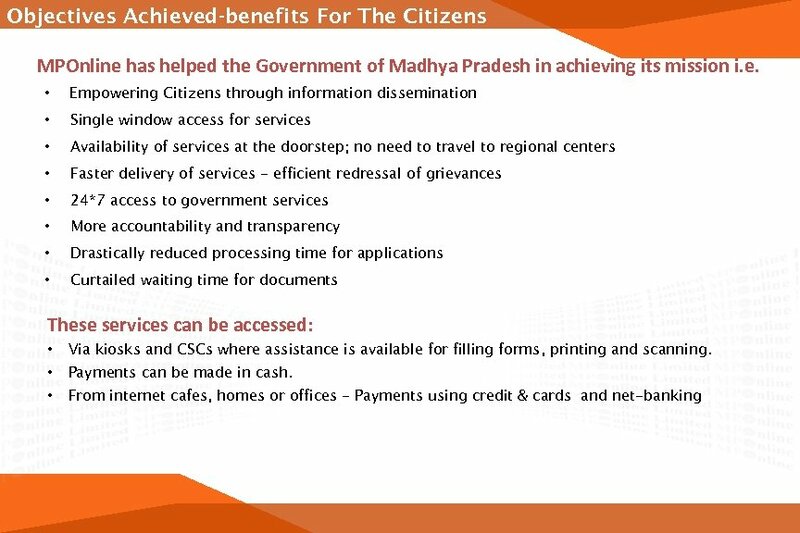 • To provide citizen services at the doorsteps of the rural masses.